Ms. Ilona Copen, Founding Executive Director of NYIBC, and The Joffrey Ballet first explored the possibility of establishing an award to honor Mr. Arpino in 2003. Ms. Harriet Ross (then Artistic Manager of Joffrey) and Mark Goldweber (then Director of The Arpino Apprentices) expressed an interest in such a relationship with NYIBC. 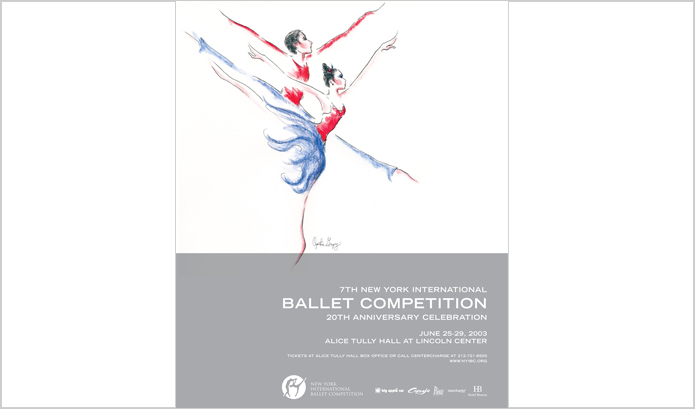 That same year, as if to confirm the idea of this award, Victoria Jaiani, a beautiful young dancer from the Republic of Georgia and student of The Joffrey Ballet School in New York City, participated in NYIBC. Ms. Jaiani won a bronze medal and was hired by Joffrey, where she continues to advance her career as an international star. Mr. Arpino, Adam Sklute, Associate Artistic Director at that time, and the Ballet Masters of the company were very enthusiastic about the award. Ms. Ross and Ms. Copen agreed on the terms of the Arpino Award and determined that it would be first offered at the following NYIBC in 2005.